The beauty of appetizers is that it keeps hungry guests occupied while you add the finishing touches to the main dish. 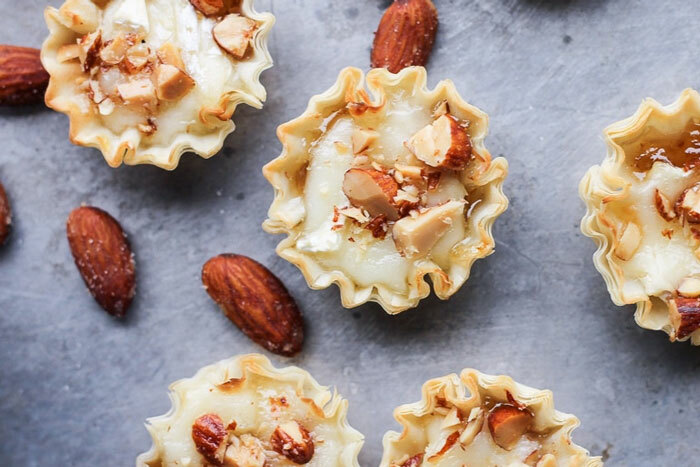 Well, come Thanksgiving, you’re sure to have some vegetarian guests, which is why we rounded up 10 flavorful vegetarian appetizers to ensure all of your guests are happy (not “hangry”). 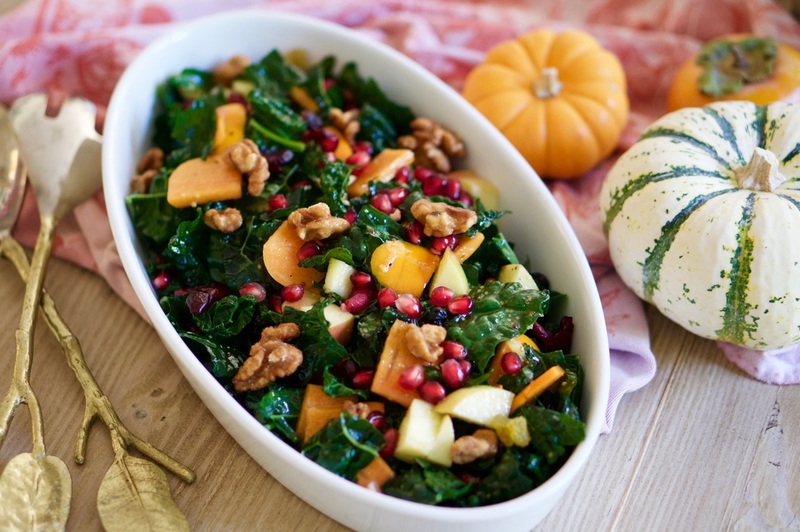 It’s persimmon season, and this festive salad is the perfect way to use the fall fruit. 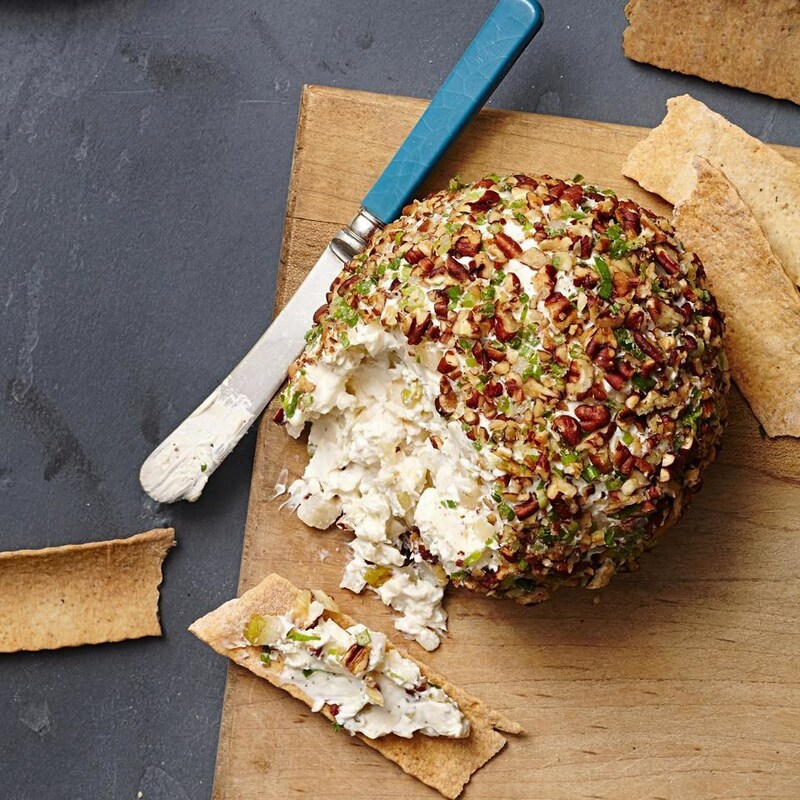 You can never go wrong with gooey brie, but you can make it even more delicious by adding smoky almonds. 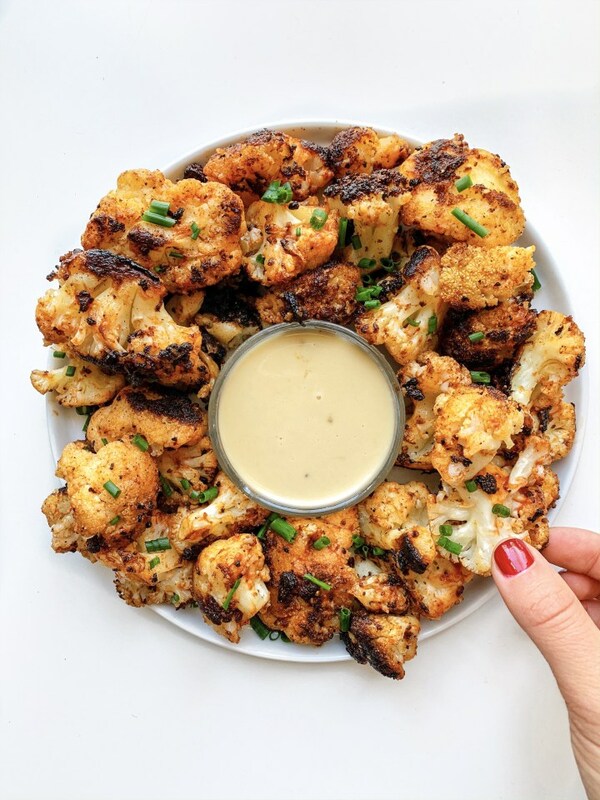 Try a spicy and savory starter like these cauliflower bites. Serve it with a side of ghost pepper hot sauce for your heat-loving friends! 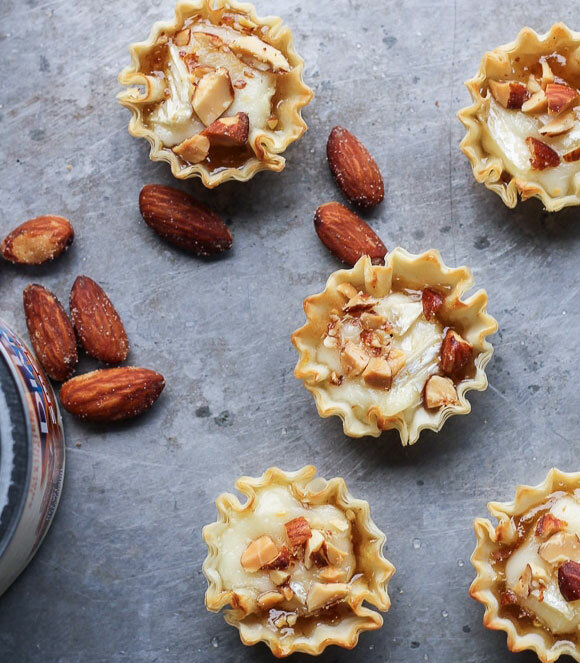 Perfectly sweet and bite-sized, these are great to make for a large crowd. 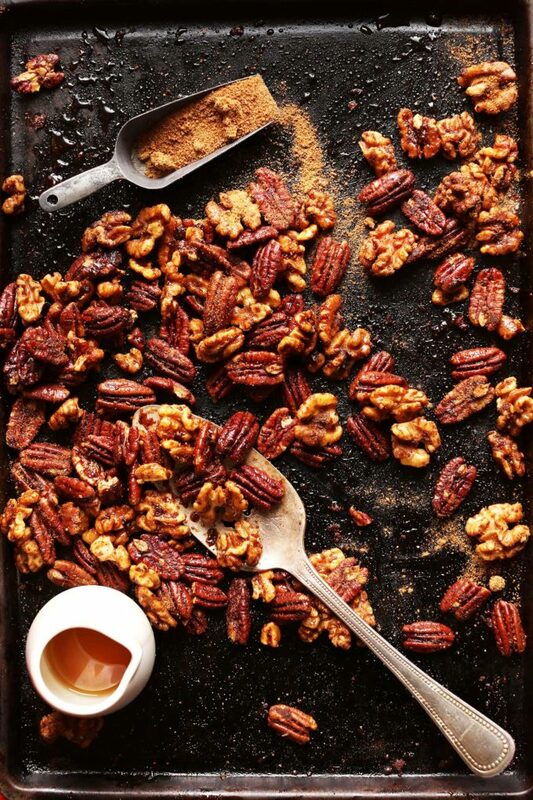 If you’re looking for a lighter appetizer, make a batch of candied nuts for easy munching. 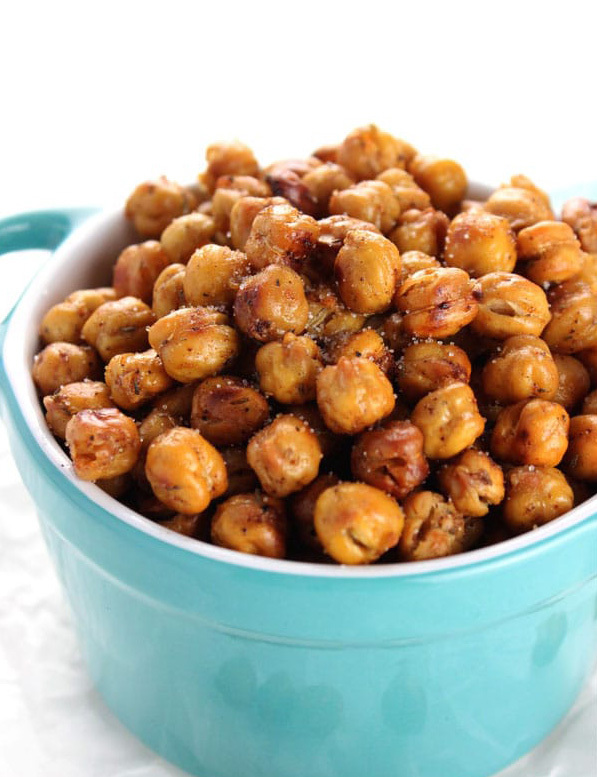 Filled with fiber and protein, roasted chickpeas are a tasty option if you’re looking for a salty crunch. Is there a better appetizer than a classic cheese plate? We think not. 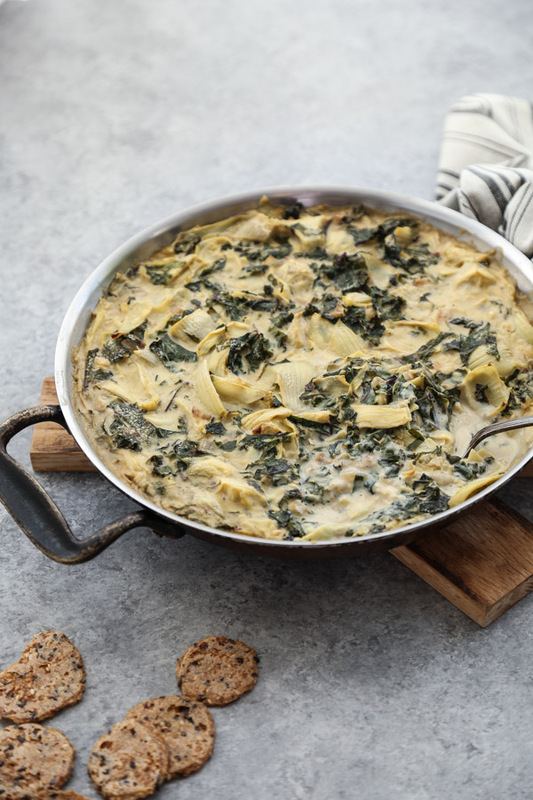 Serve it with crackers, toasted bread, or sliced veggies — everyone will enjoy the flavorful vegan dip. 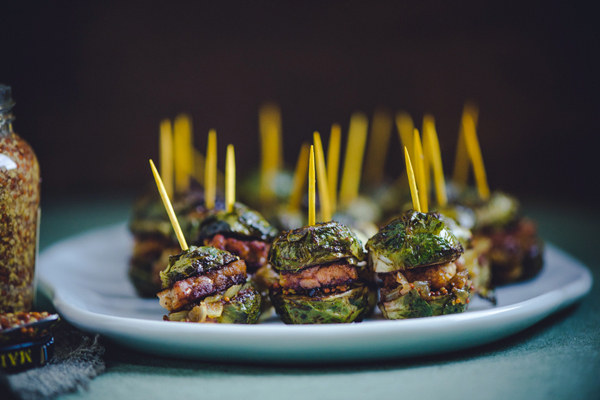 Instead of serving roasted Brussels sprouts as a side dish, try a unique bite-sized version before the big meal. 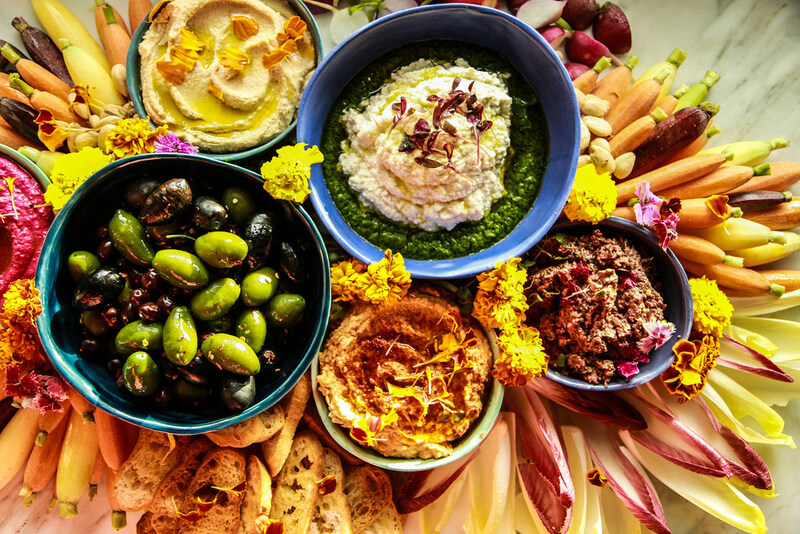 Most charcuterie boards include meat and cheese, but this beauty is full of veggies and vegan dips to satisfy all of your guests (vegetarians included!). 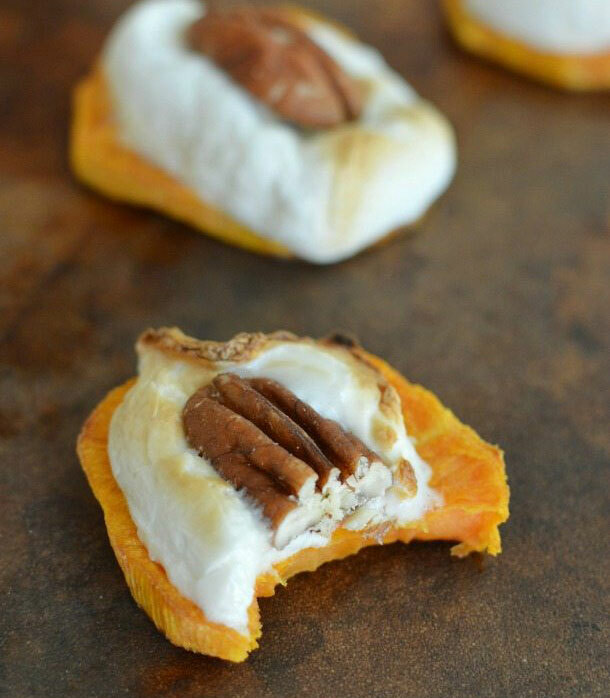 Looking for an easy Thanksgiving dinner? Check out how to make your entire Thanksgiving feast with Trader Joe’s here.